Pennsylvania to Idaho Freight shipping and trucking services are in high demand; Philadelphia to Twin Falls is a very heavily traveled route. The Philadelphia, PA to Twin Falls, ID freight shipping lane is a 2,315 mile haul that takes more than 34 hours of driving to complete. Shipping from Pennsylvania to Idaho ranges from a minimum of 1,837 miles and over 27 hours from Claysville, PA to Montpelier, ID, to over 2,575 miles and a minimum driving time of 38 hours on the road from Milford, PA to Eastport, ID. The shortest route from Pennsylvania to Idaho is along I-80 W; however, there’s also a more southern route that uses the I-76 W, passing through St Louis, MO and Indianapolis, IN. Straddling three regions of the country—east coast, midwest and south—Pennsylvania borders New York and New Jersey to the north and east, Ohio and Lake Erie to the west and Delaware, Maryland and West Virginia to the south. Philadelphia is Pennsylvania’s largest city and Pittsburgh is a distant second; both cities are known as twentieth century industrial powerhouses and are charging into the twenty-first century with knowledge and service-based economies. In addition to Lake Erie, the Delaware Estuary and Delaware River are important bodies of water in Pennsylvania. From the Appalachian Mountains to the Allegheny Plateau, Ridge and Valley to the Atlantic Coastal Plain through Piedmont and the Erie Plain, Pennsylvania has a varied landscape that supports farming, manufacturing, development and tourism. One of America’s foremost agricultural states, Idaho is sparsely populated, but well connected. 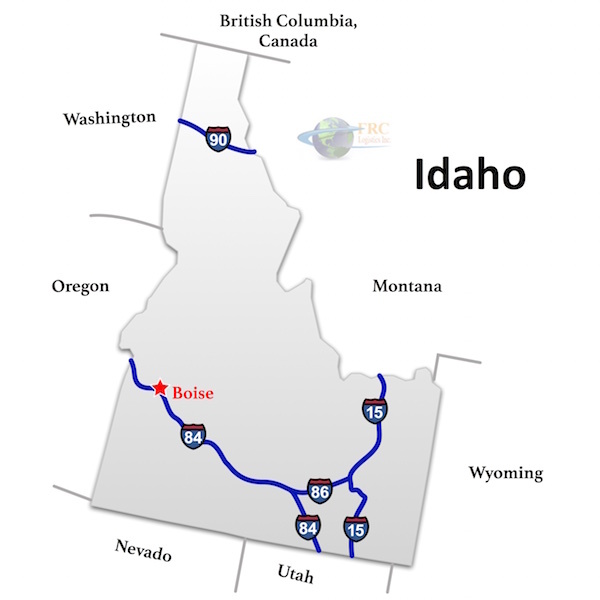 Bordered by Montana, Wyoming, Utah, Nevada, Oregon, Washington and Canada, the major cities of Idaho Falls and Boise are situated in the south-east and south-west of the state. Despite its landlocked position, western Idaho has a primarily maritime climate, tempering the potential severity of the winter weather in this northern state. The south and east of the state have a semi-arid climate, similar to that of central states on the plains. Most of Idaho, particularly its center, is covered by forest. The major road networks serve the far south, north and east of the state, with the center and west relying primarily on state road networks. Pennsylvania to Idaho Freight shipping quotes and trucking rates vary at times due to the individual states industry needs. Since Pennsylvania is mainly industrial, and Idaho is mainly agricultural, with many food processing and distribution centers, trucking rates will vary at times due to the individual states industry needs. We see plenty of shipments by refrigerated trailer, flatbed trailer as well as by the more common dry van trucks. Our Less Than Truckload (LTL) carriers in both Pennsylvania and Idaho are also running a number of regular services between the two states, and it’s an active route for heavy haul freight shipments, as well.